Are you a naturally gifted speaker? Me neither! Ever wonder what makes some speaker super successful? Have you ever sat in an audience in awe of a speaker and pondered “How did she do that?” The answer is through a lot of work. There are some freaks (meant lovingly of course) out there who are natural gifted at speaking, but most of us have to work really hard at it. My first speech was the stuff of horror movies. As a nerdy, awkward and shy teenager, I was forced to take the dreaded public speaking class. My high school crush was in my class! No pressure right? My knees were knocking, hands sweaty, and I sped read my speech made no eye contact. I sat down before the last word was uttered from my mouth. I got a “C” – it was clearly a pity “C”. I got better through speaking more and observing the habits of successful speakers. Since the headline of this post blatantly rips-off Stephen Covey, one of the most effective habits of presentations is to “begin with the end in mind”. I've implored you to answer the question “What's your presentation destination?” The bottom line is that you need a clear goal for your presentation. 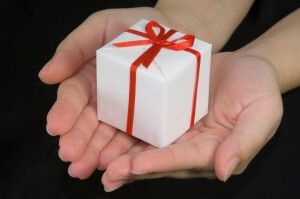 One goal for what you want your audience to know, feel or do immediately after the presentation. Here's a tip: Summarize your goal in one declarative sentence. If you've got a run-on sentence going on, it's time to revise. 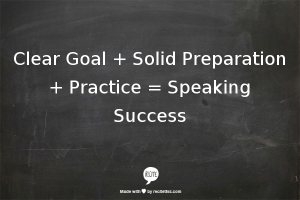 As soon as you know you are speaking, it is time to start preparing. If preparation means opening PowerPoint or Word, think again. Nancy Duarte recommends storyboarding your speech on Post-It notes. Brainstorm your points and sub-point. Write them on Post-Its. Put those on a wall then you can easily reorganize your speech or crumple and toss into the recycle bin points that don't fit your goal. This process needs to start early. Speech preparation is an iterative process. Audiences LOVE stories. They spice up bland, boring data-driven presentation. 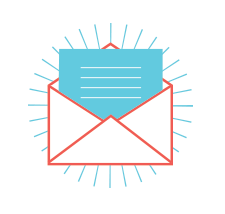 Stories engage an audience and help them relate the content to their own life. Successful speakers are always looking for stories and know that stories don't have to be extraordinary. 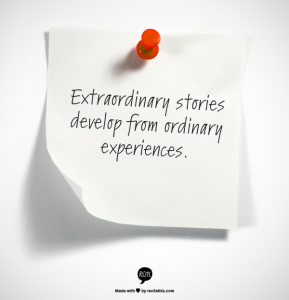 Best stories come from an ordinary experience. Friend and fellow Toastmaster, Dennis O'Cain, recently gave a speech about his cable not working and his smart phone breaking down. Sounds boring, right? It was anything but boring. The story was told with passion, drama and frustration. More importantly, there was an extraordinary lesson from this ordinary experience about our lifelines to the world aren't technology but the people who love us. Stories are everywhere. Successful speakers are always on the look out to find them. Audiences want interaction during the presentations. They want to feel involved. Ask them questions that make them think. Use the most important word in any presentation. Use your stories to relate to their world. No matter what your presentation topic think strategically about how to involve your audience more in your speech. For the love of all good things, avoid the me, me, me introduction. No one cares about you – they care about how your information will serve them. Stop going over time. It's disrespectful of your audiences time and attention. In your preparing process, aim to end early. That way if there are questions during the presentation, you have time to answer and still end on time. Successful speakers show up to the venue early. You can test the technology and make sure everything is working. If it is not, you can get it fix or go to your plan B (you should always have a plan B when it comes to tech). The other benefits of showing up early is that you can check the emotional vibe of the room. Are people tired? Are they chatty and happy? What's the energy like? Showing up early also let's your work the room. You'll meet the audience members, make personal connection that allow you to engage with your audience on a deeper level when you are on the stage. 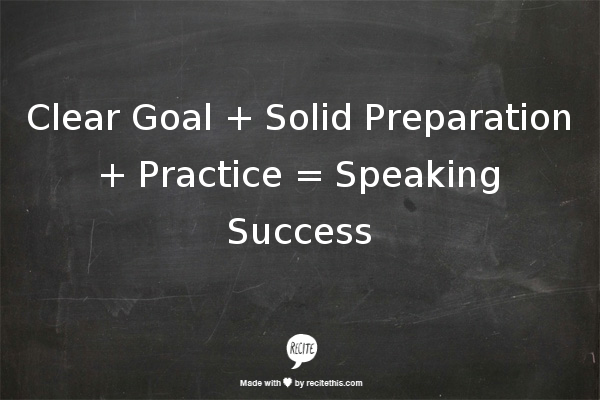 Clear goal + solid preparation + practicing = presentation success. You need to practice your presentation – out loud, in the car, on a boat or in a moat. Visualize your speech. Make the time to practice and know you can't wing it. Need help practicing a presentation? Download the practical guide to practicing your presentation to make the practicing process easier and less time consuming. Successful speakers know that speaking is hard work. There's no shortcut to success. Get out there and speak. Share your message. Speak as often as you can. Got a speaking question? Ask below!